Let’s face it: social media can be a little baffling when it comes to getting the word out about your business or your products. You know your customers are out there somewhere, but on the wide open web they can sometimes feel a little difficult to find. You know you should be building up a presence on social media, but on which sites? What does “building up a presence” even mean? Fortunately, these users tend to flock to social sites in demographically predictable ways – which means that with a good understanding of your customer base, you can almost always start off your social media marketing on the right foot. Here’s how to target 73% of online adults with your social media marketing. Succeeding on social media is all about understanding your audience. Are they young? Professional? Spontaneous shoppers or more likely to carefully consider every purchase? Urban? The better you know your customer base, the more of a jump start you can get on your social media expedition. You know better than anyone that your customer base is diverse and hard to categorize. That’s why you don’t need to lump them all into one homogenous group. Instead, it is a good idea to create customer profiles for two or three of the types of customers your product or service was made for. That doesn’t mean you need to lock down exact demographic characteristics yet – after all, consumers are more easily persuaded by ads that appeal to their personality type instead of their demographic – but it’s important to have an understanding of who tends to buy from you and who just doesn’t. Once you have considered what qualities your customers have in common, you can better identify on which networks your business would succeed with flying colors, and where you would utterly flop. Not sure who your ideal customer is? If you’re just starting your business or not seeing a lot of success yet, you may just need to experiment in order to figure out your customer base. When in doubt, Facebook is a great place to start – after all, with over 1.2 billion users and counting, they’ve got a great cross-section of pretty much any audience you could be looking for. Once you’ve narrowed down the window a little to the characteristics that identify your ideal customers, it’s time to take a look at the groups that tend to flock to different social sites. If you see a lot of similarities between your target market and the user base of a particular network, it might be time to get your business on that site. 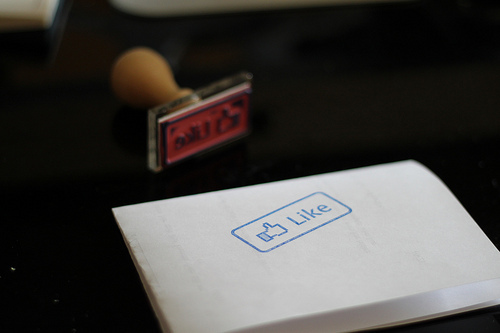 With so many users, Facebook is a safe bet for almost any demographic you might be targeting. 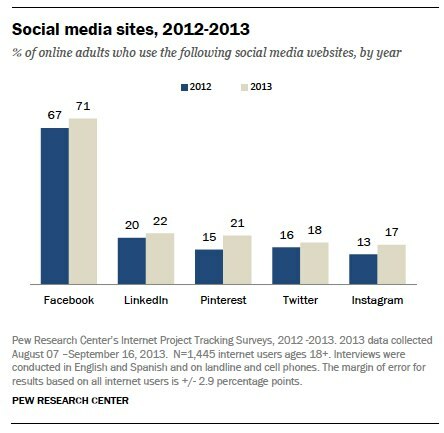 Currently, 71% of online adults use Facebook. However, there are some trends which might make it a little more appealing to some business owners than others. Though almost every social network is skewed towards younger users, Facebook is one of the only networks where a marketer can reliably reach those above the age of 65. Its user base slightly favors women. Half of Facebook’s daily users access the site via mobile. According to Pew Research, Twitter is currently used by about 18% of online adults. With an even balance of men and women, the site caters to a younger and middle-aged audience (almost all of the site’s users are age 49 or younger). It has seen particularly high adoption with African Americans; almost a third of online African Americans use the site. The site appeals more to an urban/suburban audience than a rural one. Globally, Instagram is currently the fastest-growing social network; it increased its user base by 23% in the second half of 2013 alone, and is used by 17% of online adults. Instagram has the youngest audience of any of the top five social networks; at the end of 2013, 90% of its users were under the age of 35. Its users are slightly more likely to be women, and has particularly high adoption rates by African Americans and Hispanic Americans. Its users primarily live in urban and suburban areas. Pinterest is well-known for its obvious primary demographic: of the 21% of online adults who use the site, most of them are women. In fact, a full third of online adult women use the site! These users tend to have college degrees and a higher level of income; according to Search Engine Journal, the average user’s household income is over $100,000 per year. 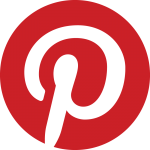 Pinterest is particularly popular with those in suburban areas. 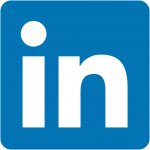 Currently, 22% of online adults use LinkedIn, the professional social networking site, and they have perhaps the most unique demographics of any of the top five sites. More men than women use the site, and they tend to be middle-aged. Users tend to have a college degree and about half of them have a household income greater than $100,000. These users tend to live in urban and suburban areas. After considering these demographics, you probably are starting to see your ideal customer fit into one or more of these networks. It is usually best to get started on one social media site, test the waters, and then expand to others, rather than jumping onto three or four sites all at once. Again, if it is still unclear, Facebook is a great place to start. Once you’ve set up shop on a social site, it’s time to do some experimenting. Your goal is to determine what kind of updates appeal to your audience. Most social networks have their own native tools to track the success and engagement of your updates, such as Facebook Insights and Pinterest Analytics, but in other ways you will need to use your intuition. In some cases, the most successful updates will be obvious from the start; for example, Instagram’s users want to see compelling imagery that isn’t just trying to sell them something. That might mean showing your services in progress or your product in use; that might mean capturing lifestyle snapshots that appeal to your target audience. You’ll want to focus on the features that make each network unique, which in Instagram’s case is the heavy reliance on hashtags, even more so even than the birthplace of the hashtag (Twitter). On Facebook, photo updates have historically been and still are the type of update that drives the most engagement. 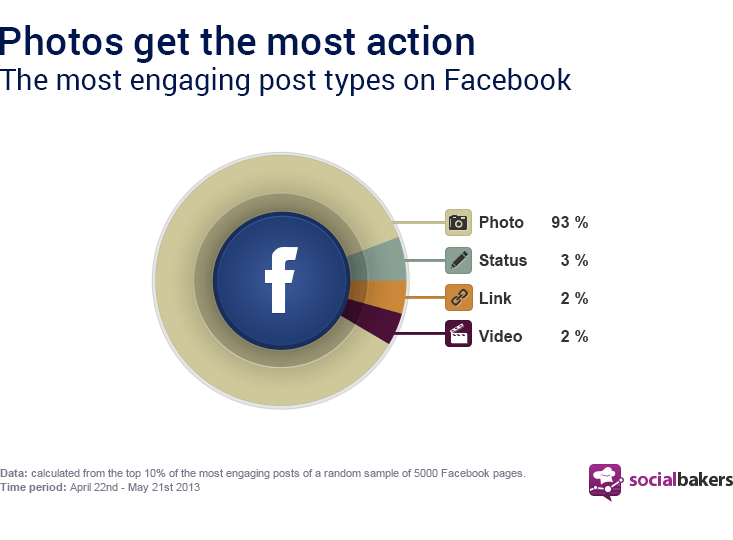 In 2013, 93% of the most engaging Facebook posts were photo posts. Videos and status updates, on the other hand, both came in at about 2% of the most engaging posts. That can look a little depressing from a marketing standpoint, especially considering Facebook’s recent algorithm changes. Now, users are even less likely to see your link updates unless you pay the site to “boost” these posts to more eyeballs. So is it even worth it? Well, yes. Because Facebook is the social giant, they can really do whatever they want to in order to try and monetize the massive audience they’ve built. However, even if your posts are only making it out to 2% or perhaps a generous 10% of your audience, the potential audience is still, at the moment, far larger than on any other site. The best thing you can do is work hard to create updates that will inspire your audience to engage – once Facebook has seen that the people who saw the update enjoyed it, they are more willing to show it to a larger subset of your audience, for free. The best thing you can do for your business’ social marketing strategy is to take a look at the characteristics of your ideal customer and build your business up on networks that appeal to that demographic. Doing so will give you a jump start on engaging that audience, allowing you to stand out against all the other noise they see on the web every single day. Adrienne is an Earned Media Analyst at WebFX. She’s a foodie, traveler, and Francophile.